More Bull from Duncan Taylor & Co. 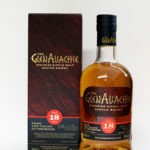 This entry was posted in New Whisky Releases and Bottlings and tagged Black Bull, Duncan Taylor, Laphroaig, Port Ellen, Single Malt on 2 March 2010 by Mike. Another refined old blend of exceptional single malts from Duncan Taylor and Co. This one is an impressive 90% single malt and 10% grain whisky with a ratio of 80% bourbon cask to 20% sherry cask. The whiskies range from 40 to 44 years old and are from Bunnahabhain, Glenfarclas, Glenlivet, Glenburgie, Highland Park, Miltonduff, Springbank, Tamdhu and Invergordon. A fabulous cask strength Port Ellen from Duncan Taylor. A reminder of what Port Ellen's can really be like. Duncan Taylor say itÃ¢â‚¬â„¢s like eating fruit in a sauna. Not sure which of the DT crew know about that but my money is not on Mark Watt but probably Jacque. Like your Laphroaig cask strength and non chill filtered? Here you go. A well priced non chill filtered hard hitting Laphroaig.